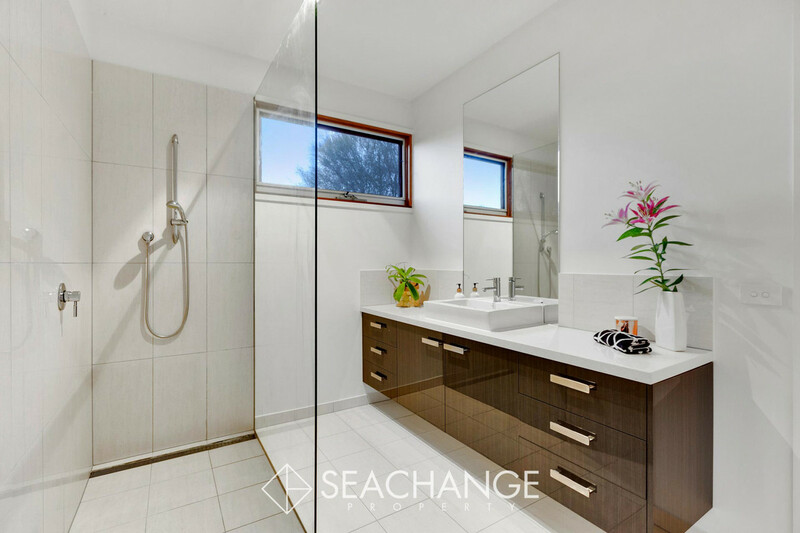 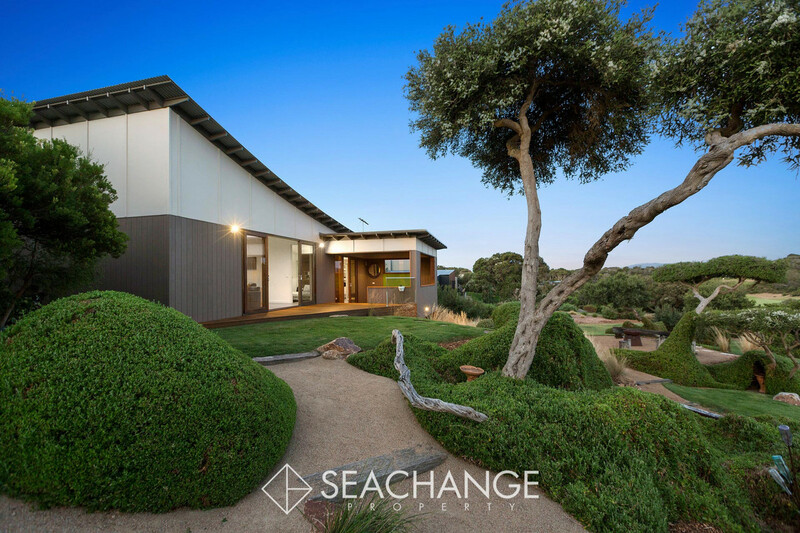 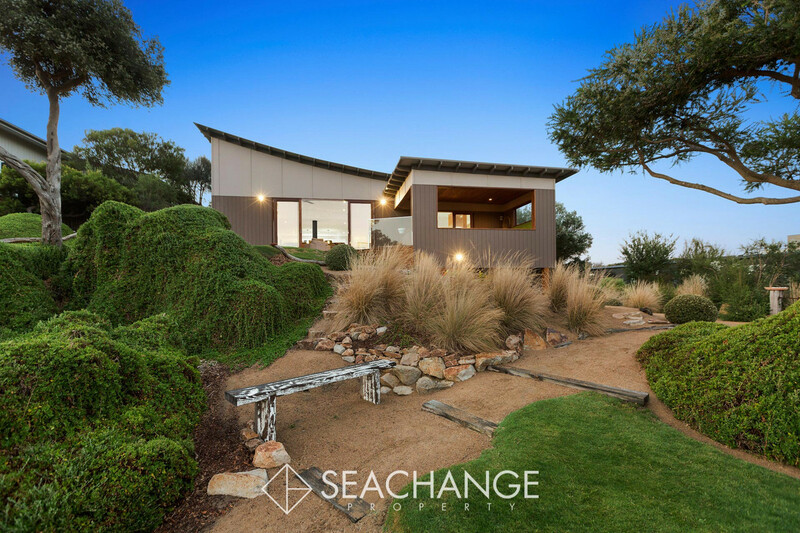 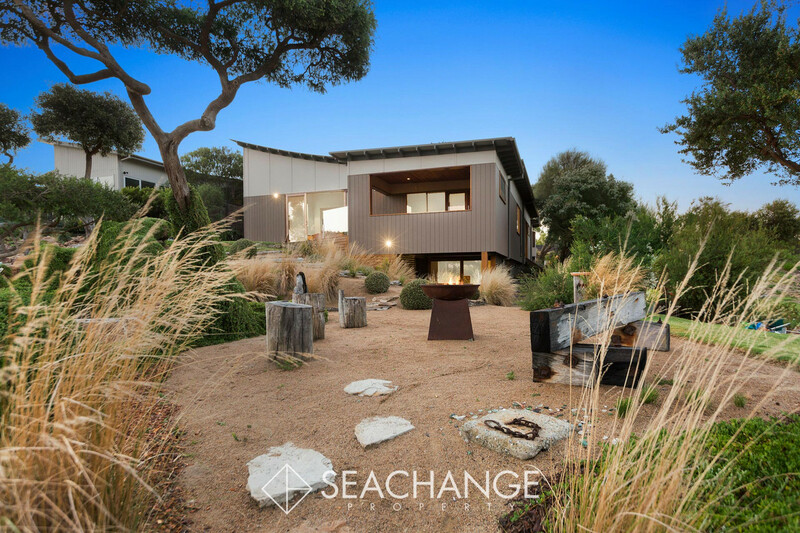 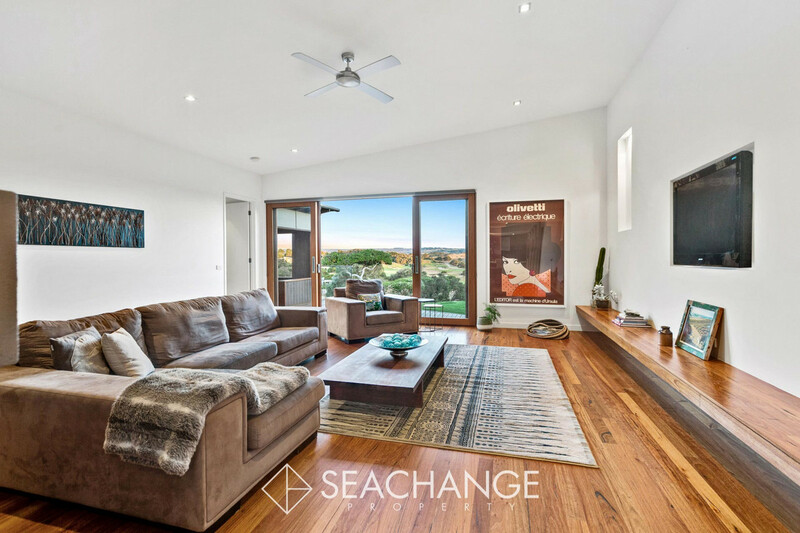 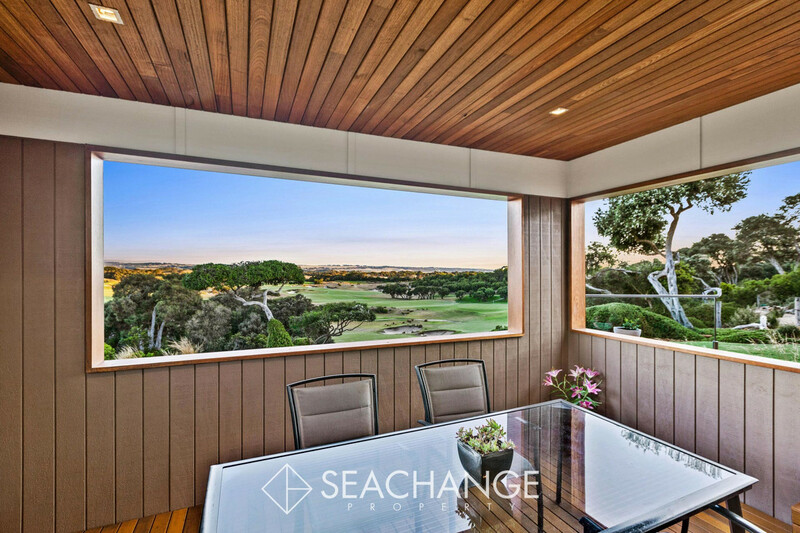 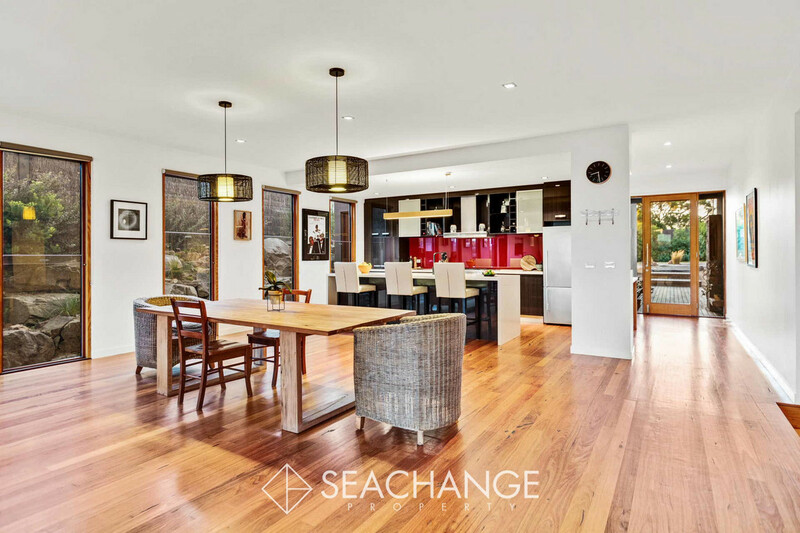 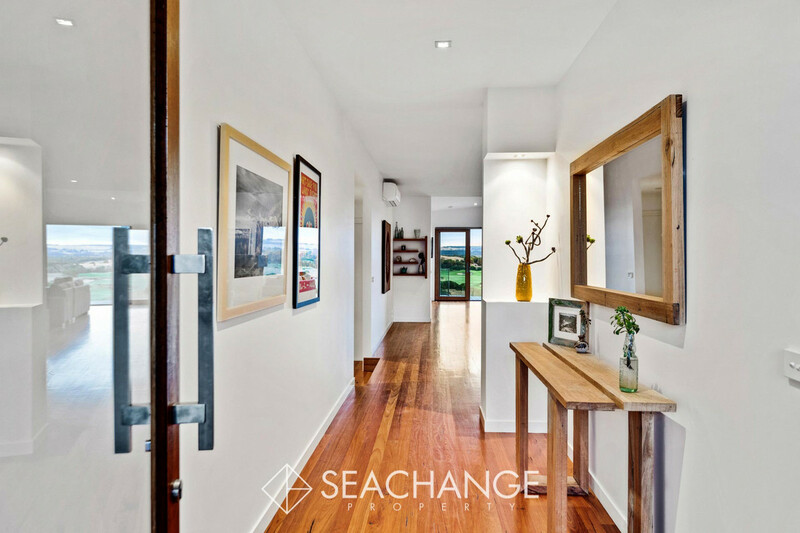 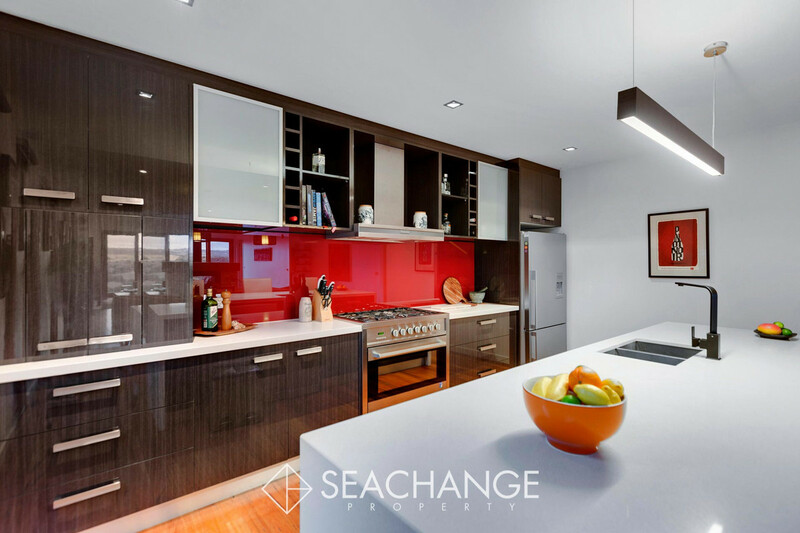 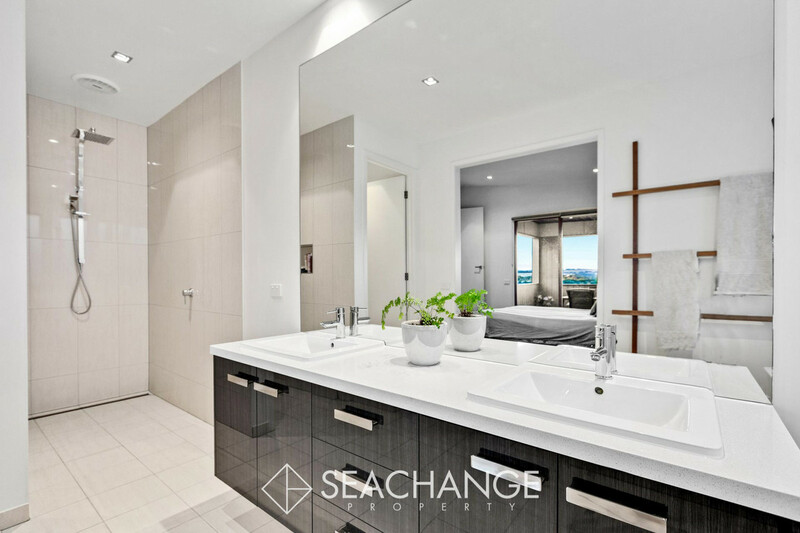 Set high above the manicured golfing greens of the beautiful Moonah Links Resort stands this ultra-modern four-bedroom single story residence blending effortlessly with its natural surrounds. 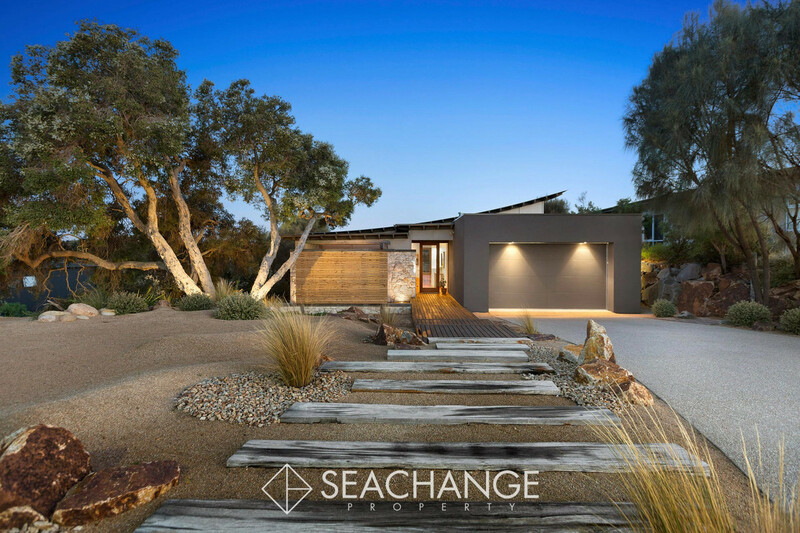 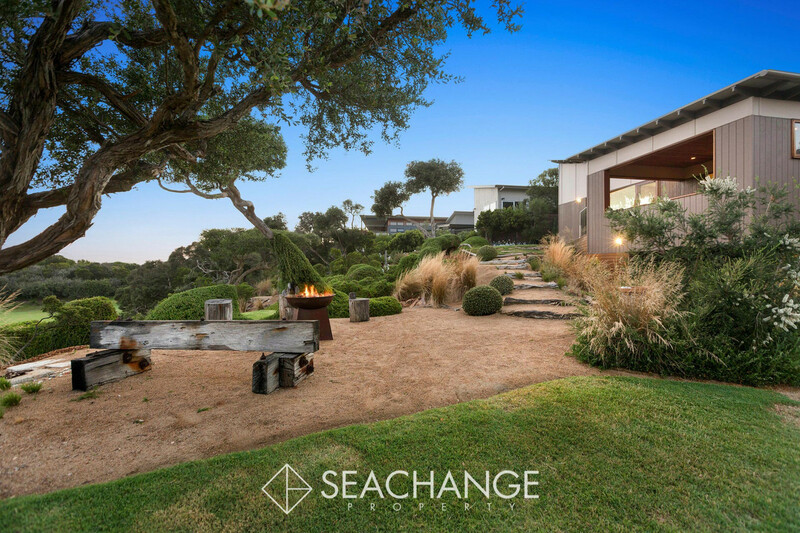 Connect with the environment, enjoy complete peace and tranquility and be inspired by the ever-changing views from the indoor spaces to the outdoor spaces. 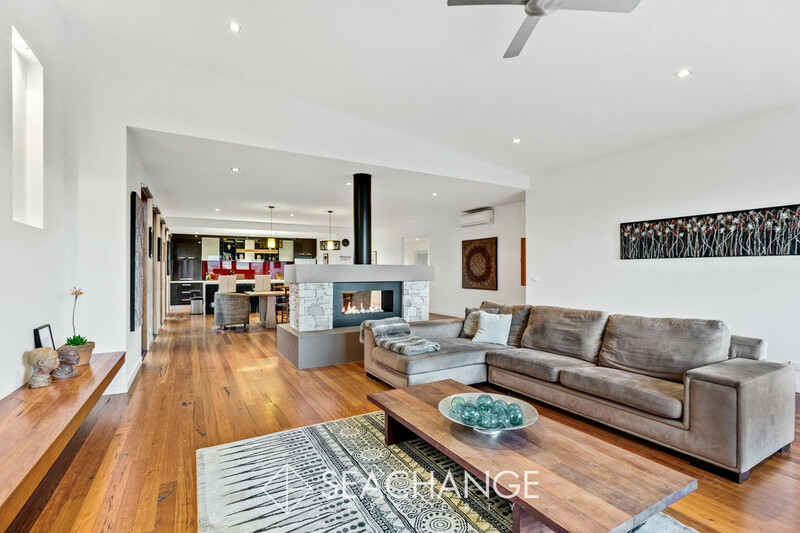 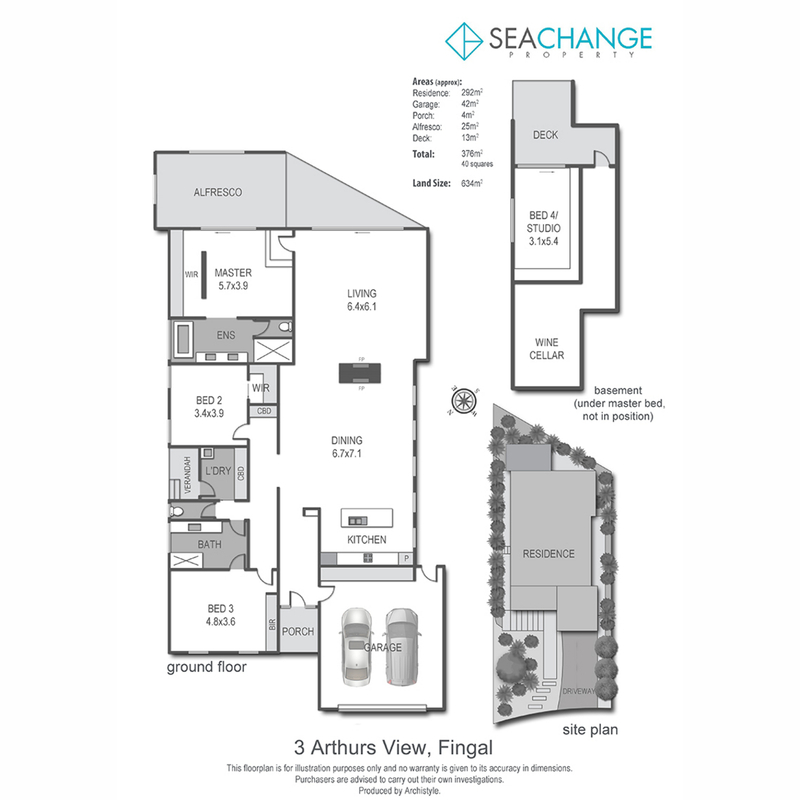 Perfect for the retiree, an impressive contemporary floor plan offers the ultimate life of luxury where the living and dining zones are cleverly separated by a decorative gas-log-fire, and polished floorboards coupled with high ceilings and stone features create ideal warmth and volume. 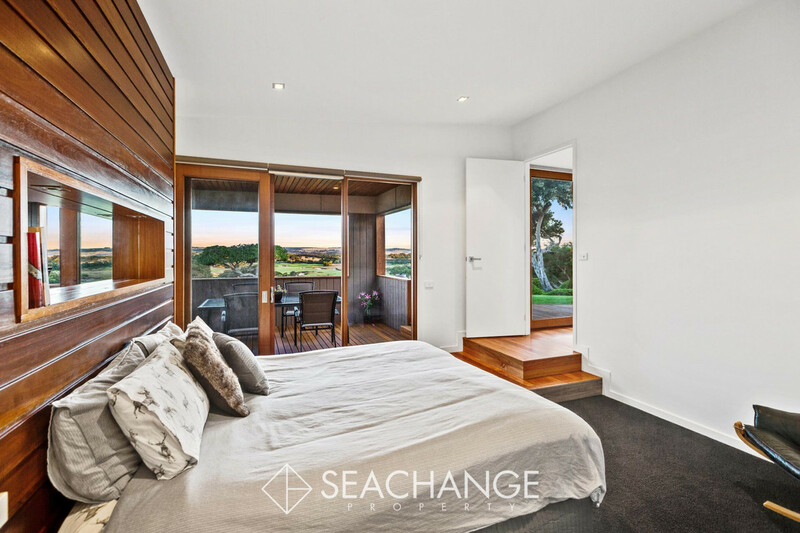 Capturing stunning endless views from the main living and Master bedroom. 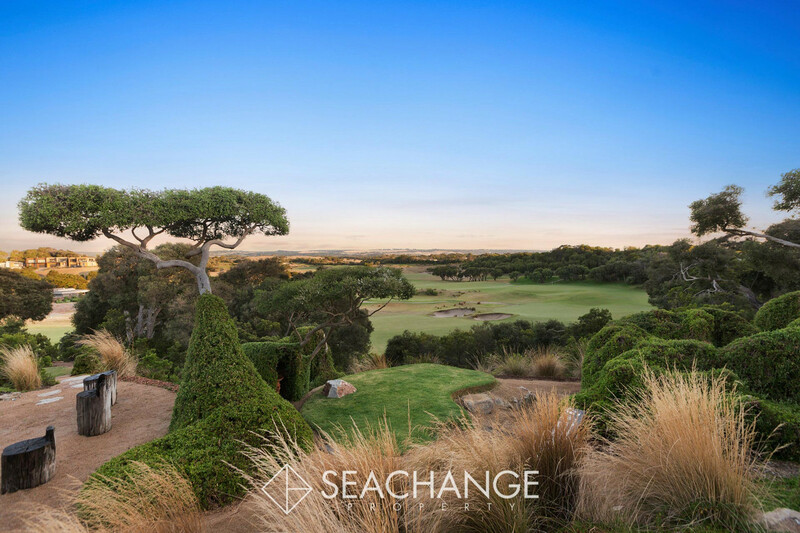 The sheltered alfresco area flows to an open-air deck for sunbathing and observing some of the best vistas of the Legends Course and beyond. 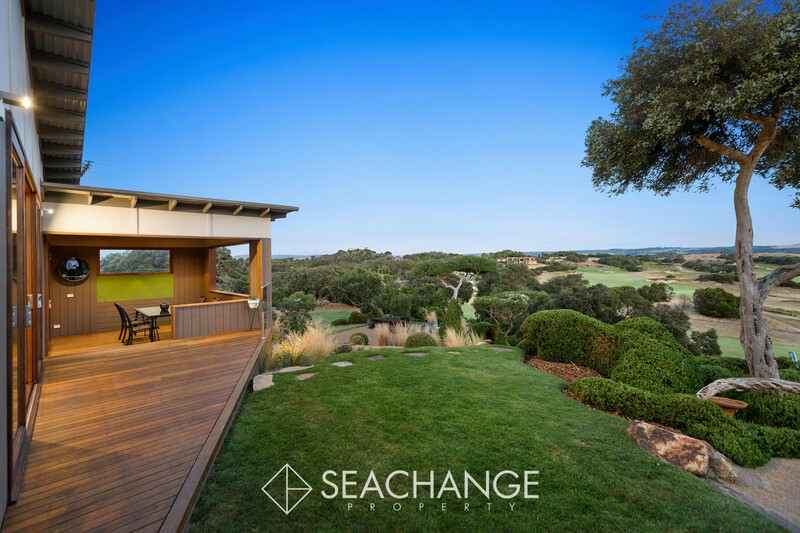 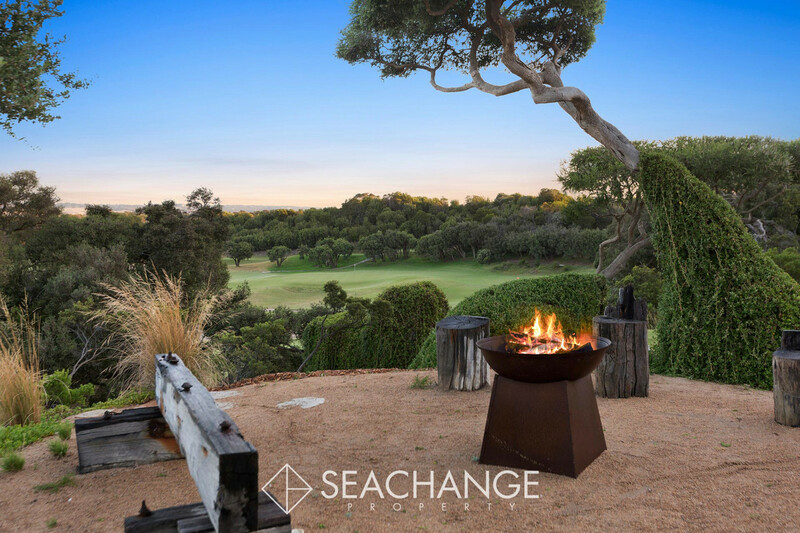 The ornamental gardens are truly a masterpiece seven years in the making, including a rustic fire-pit area for entertaining, golf practice tee and pathways to the course. 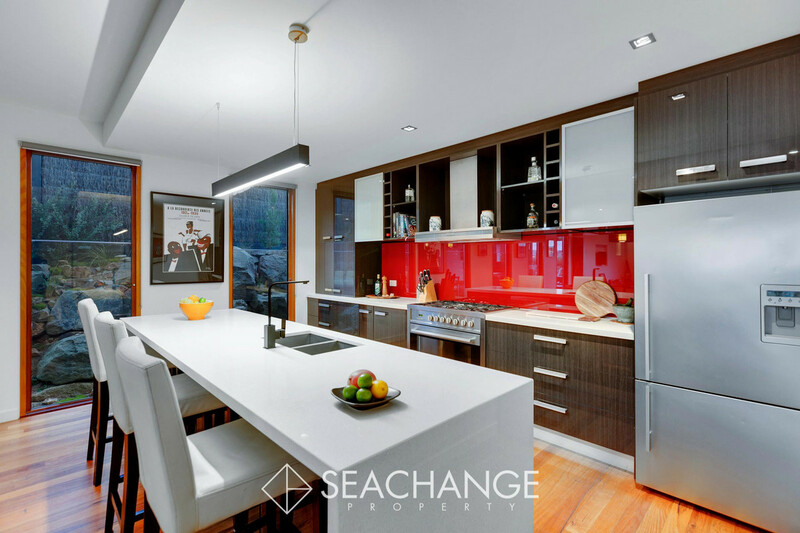 With glass splash-back the designer kitchen comes complete with stone-topped benches, chef’s oven, stainless-steel dishwasher and handy breakfast bar combine to deliver easy cooking functionality and entertainment. 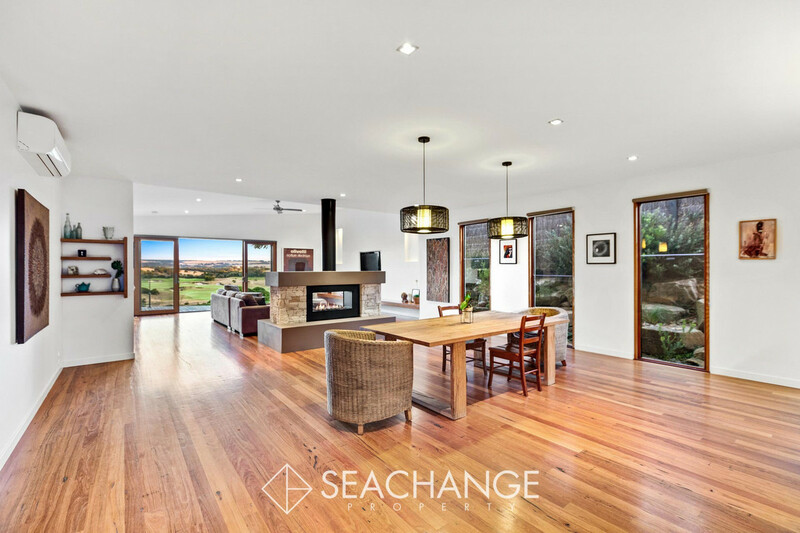 Interior comfort is provided by ceiling fans and split-system heating/cooling. 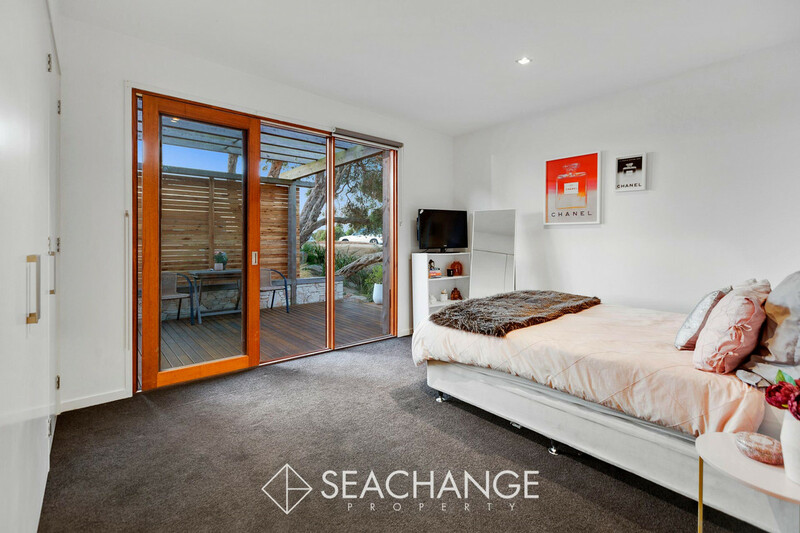 The master bedroom adjoins a full twin-vanity ensuite with floor to ceiling tiles, walk-in shower and behind a beautiful panel wall in the bedroom hides excellent cupboard space while the central bathroom and laundry facilities are separated away with the remaining over sized robed bedrooms. 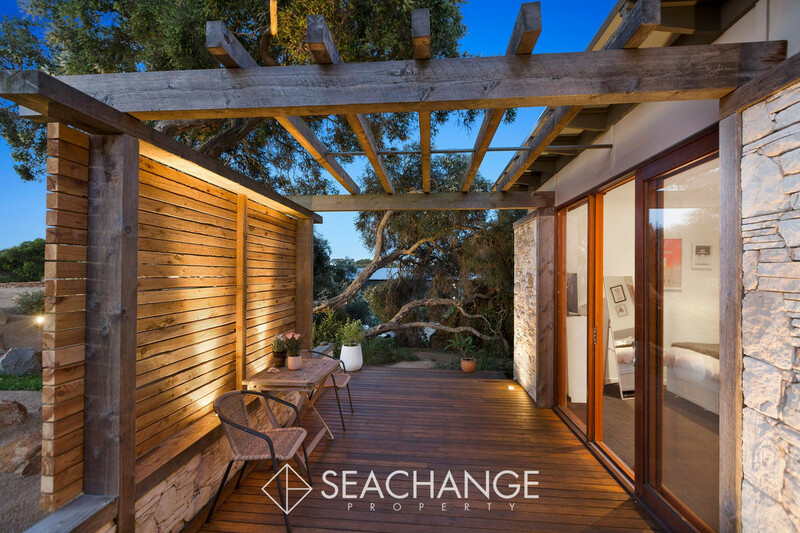 A private deck extends from the lower-level studio bedroom providing private accommodation for guests or home based office. 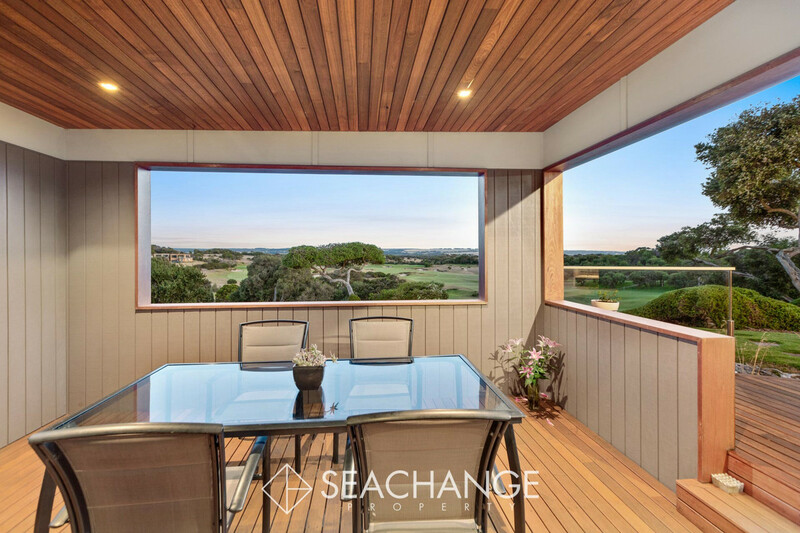 This location in gated community of Moonah Links is the perfect location close to tennis court with BBQ facilities, chipping and putting practice green and easy access to Peppers Resort and Club rooms. 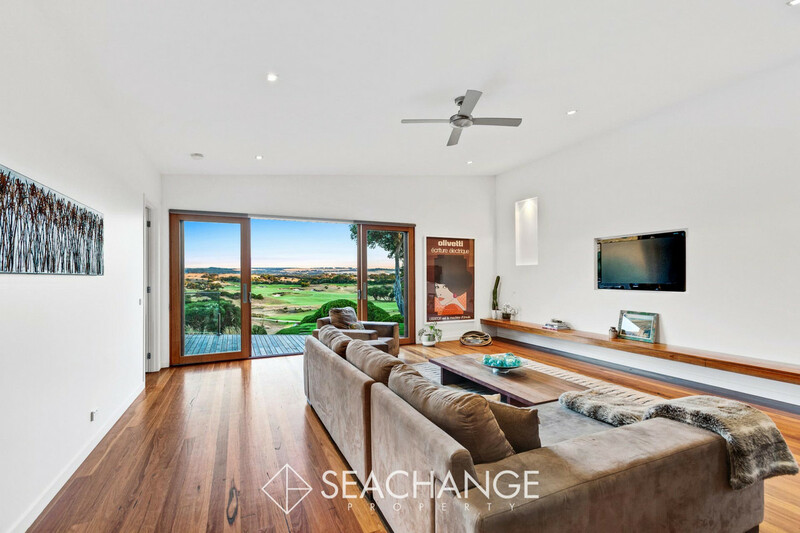 Based in famous Fingal location central to everything the Mornington Peninsula has to offer including an easy golf cart drive to St’ Andrews Beach Brewery, Peninsula Hot Springs and Cups Vineyard. 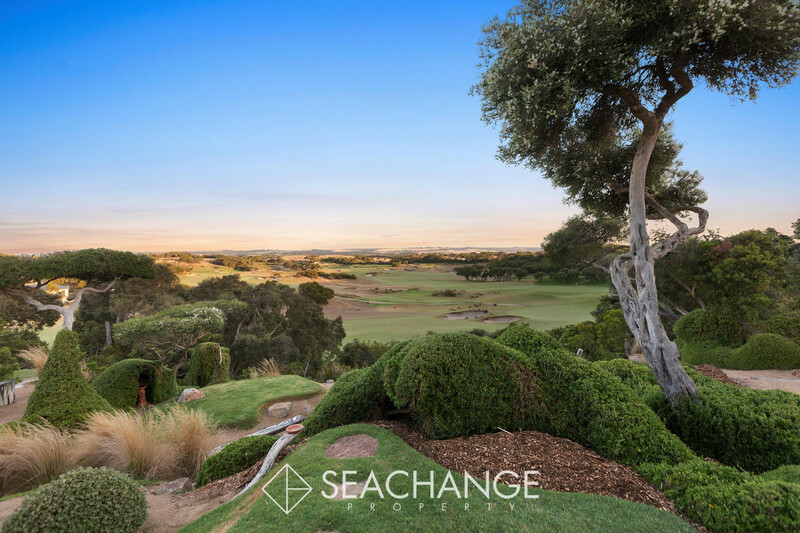 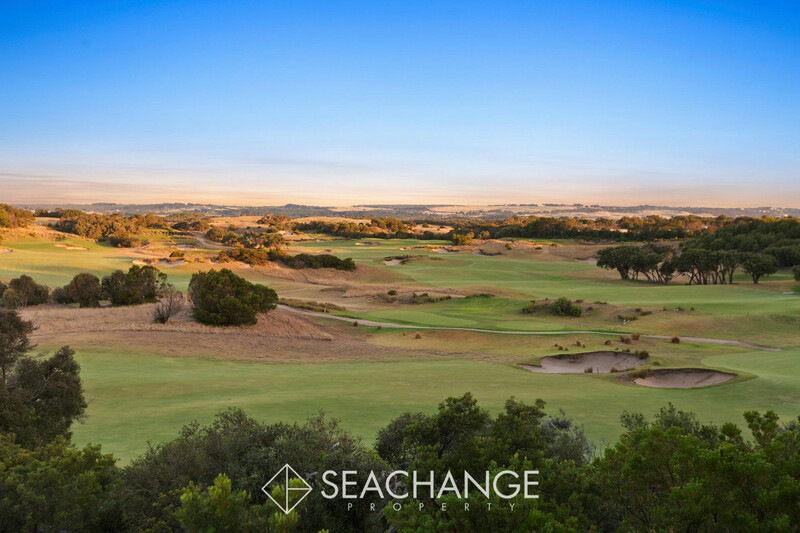 Discover markets and shopping galore, fine dining and wineries, walking tracks and all manner of aquatic activity including the nearby Gunnamatta Surfer Beach, 17 world class golf courses and over 170 vineyards within a easy drive. 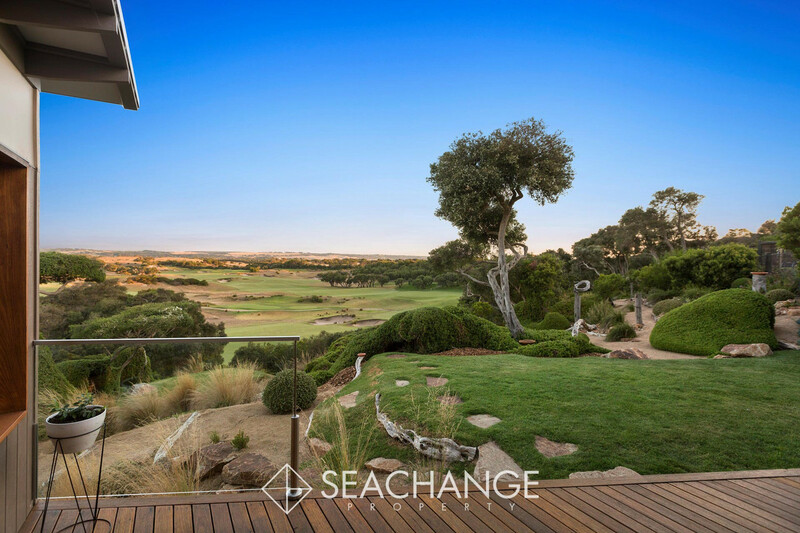 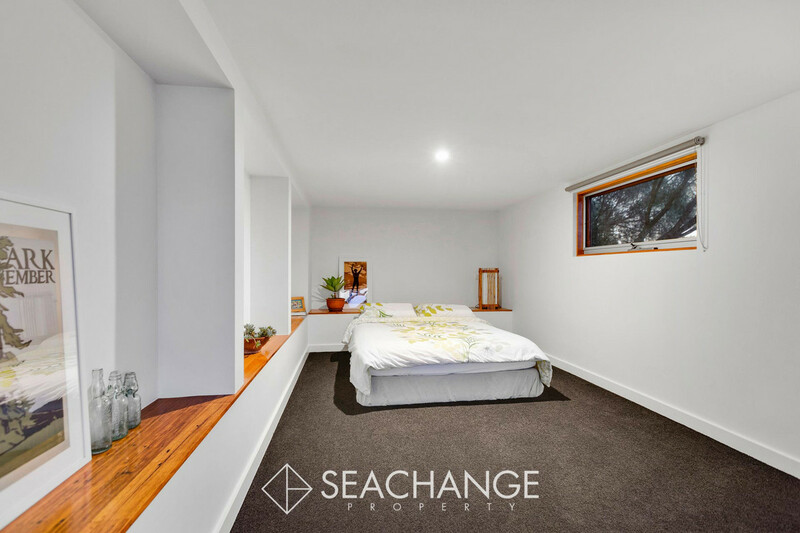 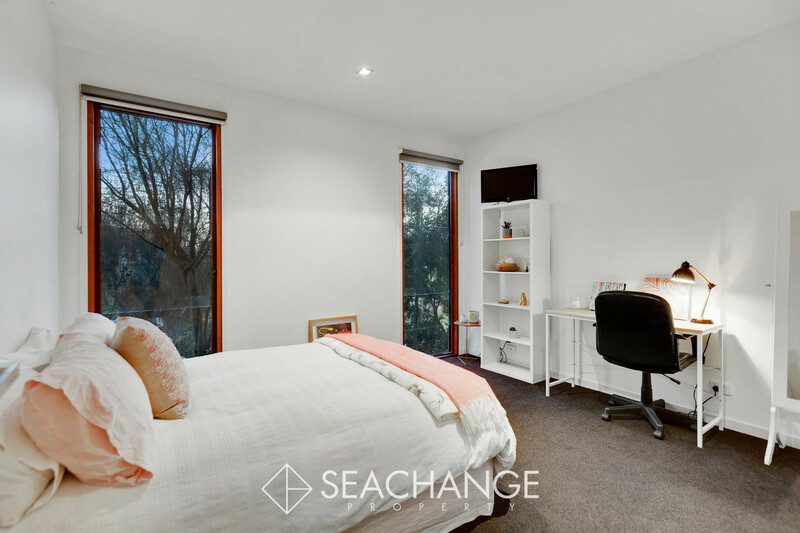 Properties like this single story with magnificent views in this price range are rare to market, so for private inspection please call Geoff Oxford on 0414 282 817 or see our Open For Inspection times for weekend inspections.